What would you say if we told you that you could have the look of natural stone tile or hardwood into your home with the easy care of vinyl? If you're picturing your grandma's vinyl kitchen floor you may not believe us but it's true! 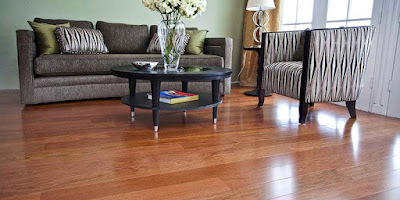 Luxury vinyl is bringing a whole new look to many homes with all the easy maintenance of vinyl floors. Homeowners are coming into Indianapolis flooring store Kermans nearly every day asking us about luxury vinyl. Kermans carries two of the top brands in luxury vinyl, Armstrong and Mohawk, and we agree that this luxury vinyl is a trend that's here to stay. Why choose luxury vinyl floors? Many people are surprised when our designers recommend vinyl for their home. "It's such a versatile product that it can be used in many places tile or hardwood cannot," comments Kermans design consultant Nichole Hansen. "Luxury tile is an excellent choice for basements, kitchens and bathrooms. And at first glance, no one will believe it's a vinyl floor." Learn more about our free design consultants - part of the Kermans Advantage. Old style vinyl used to be installed in sheets. Luxury vinyl is typically installed in planks or tiles depending on the look you want to achieve. Plank luxury vinyl mimics hardwood planks. The vinyl is installed in individually planks that beautifully capture the authentic looks, grain patterns, and wood tones of genuine wood planks. Luxury vinyl planks are quick and easy to install and are designed to withstand the demands of a busy household. That means you can enjoy the natural beauty of wood without the worry. 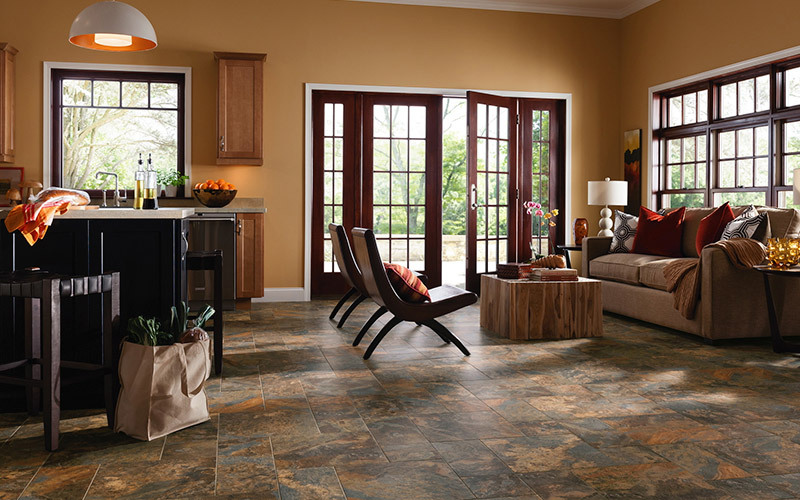 Tile luxury vinyl brings the look and feel of stone into your home. You can select vinyl tiles that look just like ceramic, quartz, travertine stone, slate, and marble. And they don't just look like stone - they have a natural texture that you can feel. All that with a comfortable surface that's designed for everyday living. Most of the tile planks can be installed with grout or without grout, for a true stone or ceramic tile look. Want to learn more about luxury vinyl? Schedule an appointment with one of our design consultants and they'll have product ready for you to review.